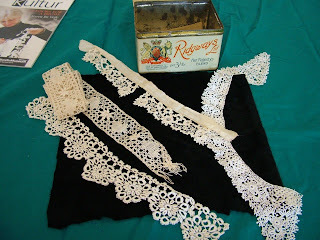 A lady who found out about Alice's passion for lace brought her this wonderful old tin full of bits & bobs...including these very pretty edgings and Irish crochet collar. 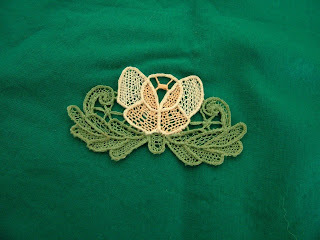 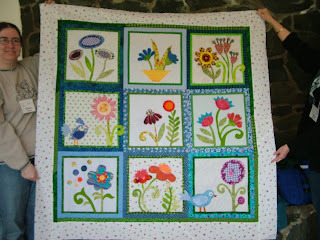 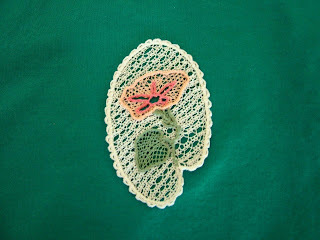 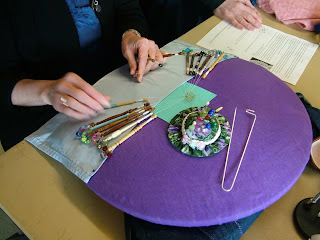 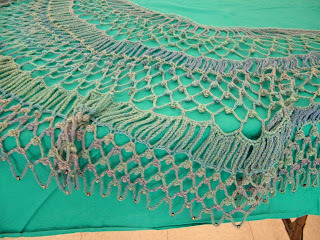 Alice challenged herself to develop her needle lace skills after Loretta's needle lace rose workshop. 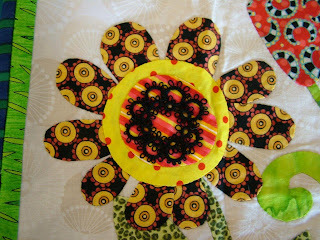 She brought two examples she deemed "good enough" to share. 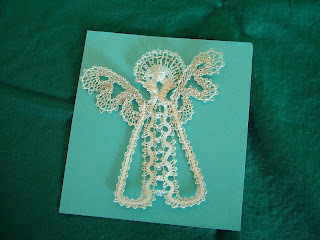 Linda's bobbin lace angel. 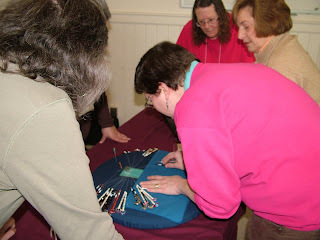 Linda's been making angels as gifts for people who need them! 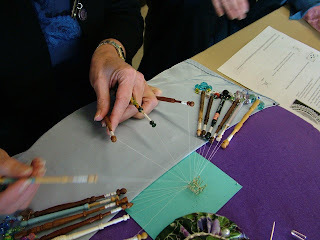 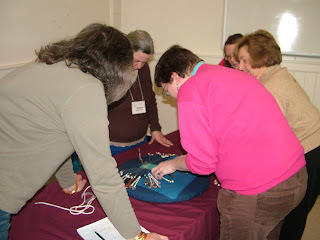 The focus of the meeting was bobbin lace tallies. 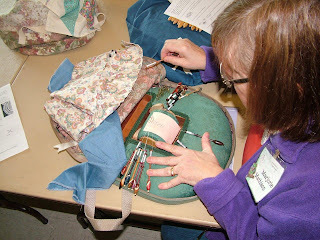 Members demonstrated different techniques. 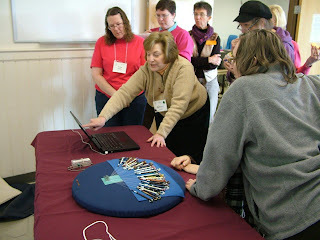 Barbara showed Jean Leader's video. 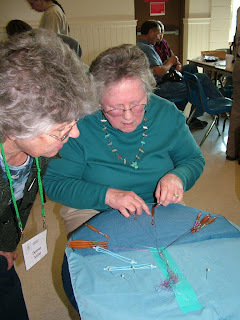 Alice's tallies in silk Sharon gives Barbara's method a try. 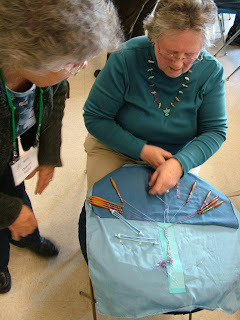 LPS members can check out Jean Leader's video from our library, and find Helen's handout in our learning lace handouts.